People all over the world love chocolate; be it in any form, any flavor or with any combination. Those with a sweet tooth or a very bad craving for chocolate mostly satisfy themselves with an easy and very available option- ‘Hot Cocoa’. The drink is generally considered to be a winter beverage but the truth is that it remains to be a treat all around the year. 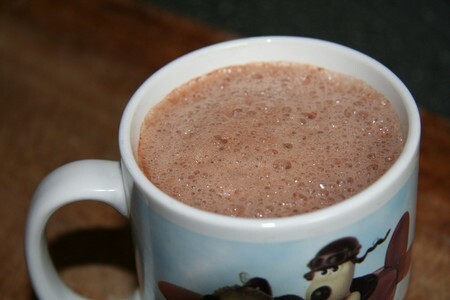 A steamy cup of rich and smooth hot cocoa is not only a fulfilling drink but also a very healthy option. As it is usually made from skimmed milk and cocoa powder, it is full of calcium and vitamins, minus the loads of calories and fats as present in various other forms of chocolate or other sweets. People who drink hot cocoa on daily basis prefer to buy ready-made mixes available in the market or use homemade ones stored in an air-tight jar to retain freshness and dryness. The method is simple and effortless. Mix together some powdered milk, unsweetened cocoa powder, granulated sugar and a little bit of cinnamon powder to add extra flavor and you have at hand a ready-to-use hot cocoa mix. Now whenever one feels like having a cup, all they have to do is add boiling water to a few spoonfuls of the mix and there ready is a delicious, steamy cup of homemade cocoa! The hot cocoa mix present at supermarkets gives one more variety and options to choose from. A lot of brands as well as flavors can be seen around. The ones most preferred are Hershey’s dark chocolate, raspberry and mint flavors. For those who enjoy hot cocoa once in a while can follow few extremely easy steps. They can start off by first melting chocolate pieces by heating in a bowl placed over a saucepan containing boiling water or by placing the chocolate in a microwave oven and then slowly adding milk and sugar to it until a smooth, creamy mixture is formed. One would definitely want to be careful with the chocolate during the melting time as it often gets burned very easily. The milk being used can either be skimmed to cut off the extra calories or else whole milk can also be used for a creamier and smoother result. Using 2% milk is a very convenient option too as it reduces the fats and also gives the desirable rich texture. Later, a pinch of salt and a few drops of vanilla flavoring can also be added for a more tasteful cup of hot cocoa. You can also top your drink a handful of marshmallows or a generous helping of whipped cream if drinking immediately. Otherwise, filling your thermos and carrying it along is equally good.